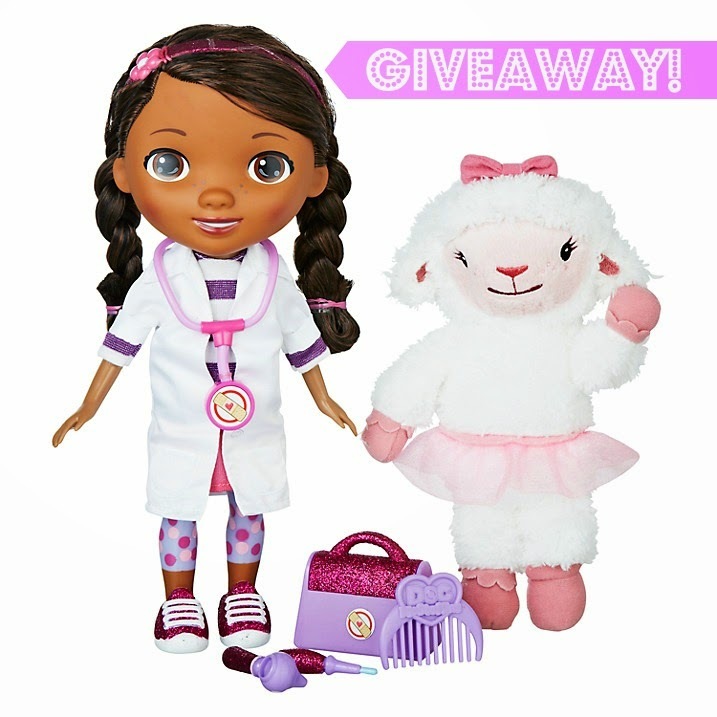 Handbags To Change Bags: Win A Doc McStuffins Time For Your Check Up Talking Doll & Lambie! My daughter who is Lambie mad! My baby girl has just started watching Doc McStuffins! Not sure who's into it more - her or her Daddy! My daughter loves Dr mcstuffins she would love this!!! My daughter she would love it. My daughter Elizabeth who loves Doc! I would give this to my little girl Bethany who is obsessed with Doc McStuffins. I'd love to win for my daughter Lily. I'd love to win for my Grand-Daughter, Ellie. My little boy loves Doc! My niece Amber, she loves the Doc. My daughter who would love it! My daughter would love this, she would be very happy! Great for a friends child. My 3 year old daughter. I'd love to win this for my nephew! He loves Doc McStuffins! My niece who loves doc mcstuffins! My granddaughter Lyla loves Doc she would be thrilled to bits with this. My little niece,she would love her! My daughter she would just love this! I would like to win this for one of my daughters, though they will both play with it. my daughter maisy, she loves doc mcstuffins. I want to win this for my two nieces. My mum has just been made their legal guardian as their parents can't care for them. It's been a really long process (over a year with them in foster care while my mum got things sorted out), and they've had to move across the country and basically start from scratch. My mum's going to do a brilliant job of raising them, but being able to give them some surprise gifts (I live in a different city to them so can't visit as much as I'd like) would be fabulous, and this would be a great pure fun treat for them in addition to the things I've already bought for them which are more practical and educational in nature, as I'm trying desperately to prioritise with the budget I can spend on them. My daughter, she already has the pyjamas which she loves so these would be great. I would love to win this fabulous prize for my grandaughter, Esme, she loves Doc McStuffins! For my daughter, she's love it. I'm torn because my 5 year old likes Doc McStuffins, but my good friend's daughter LOVES her. Definitely one of them! My daughter Theresa, she just turned 2 a few days ago & when we went shopping recently I had to literally pry lambie out of her hands as she loves her so much! My daughter Eilidh, she is Doc McStuffins crazy right now!